This drum kit now ships with the updated 'MDS-COMPACT' rack. 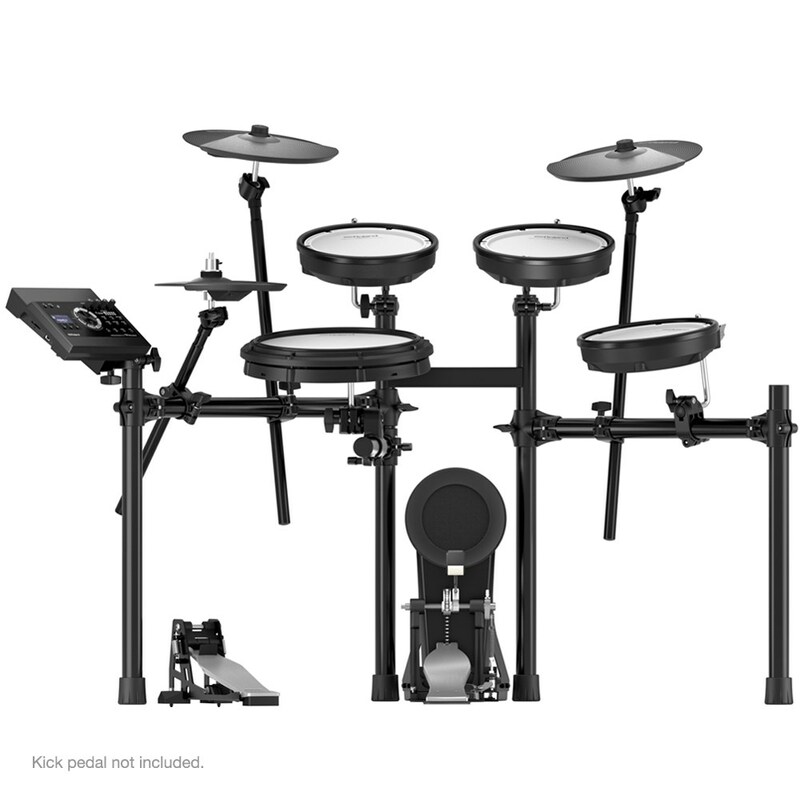 Functionally, the new rack is very similar to the older MDS-4V rack but now comes with ball joint cymbal arms, black cast metal cymbal arm joints and clamp components. The new MDS-COMPACT rack already comes supplied with cymbal stoppers, felts and nuts. 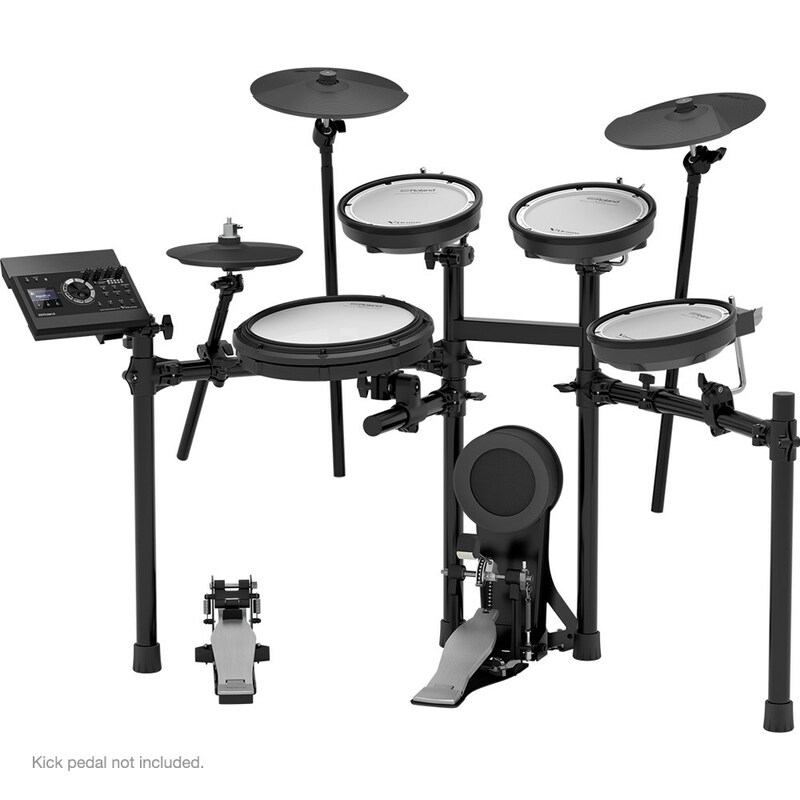 If you regularly play acoustic drums, you shouldn’t have to change your playing style to use an electronic drum kit. 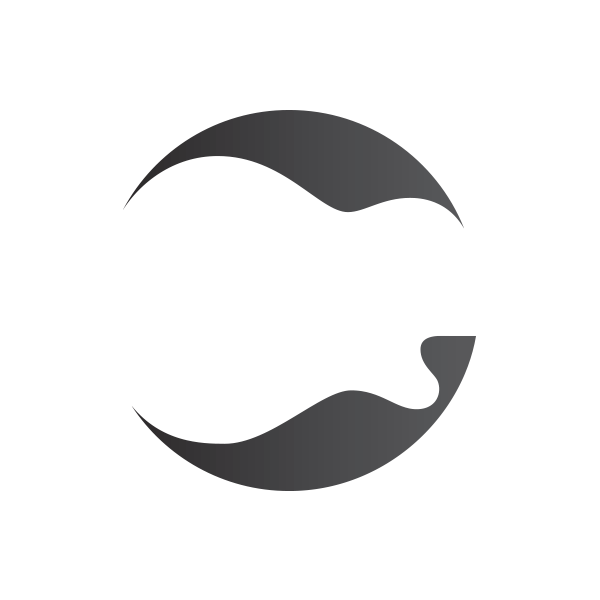 You can use the same playing techniques you’d use on an acoustic kit, without compromise, thanks to the large 12-inch snare. And being based on the flagship TD-50 sound engine, the sounds faithfully reproduce the character and tone of acoustic drums, with lightning fast response time. Although playing endless drum solos is undeniably fun, it only takes you so far. Push your drumming further by playing along with your favourite bands, or rehearse the tunes you’ll be playing on stage. Wirelessly stream favourite songs from your smartphone to the TD-17 via Bluetooth audio, and hear the entire performance through your headphones. You can even record your performance and then listen back, to decide where you need to improve. 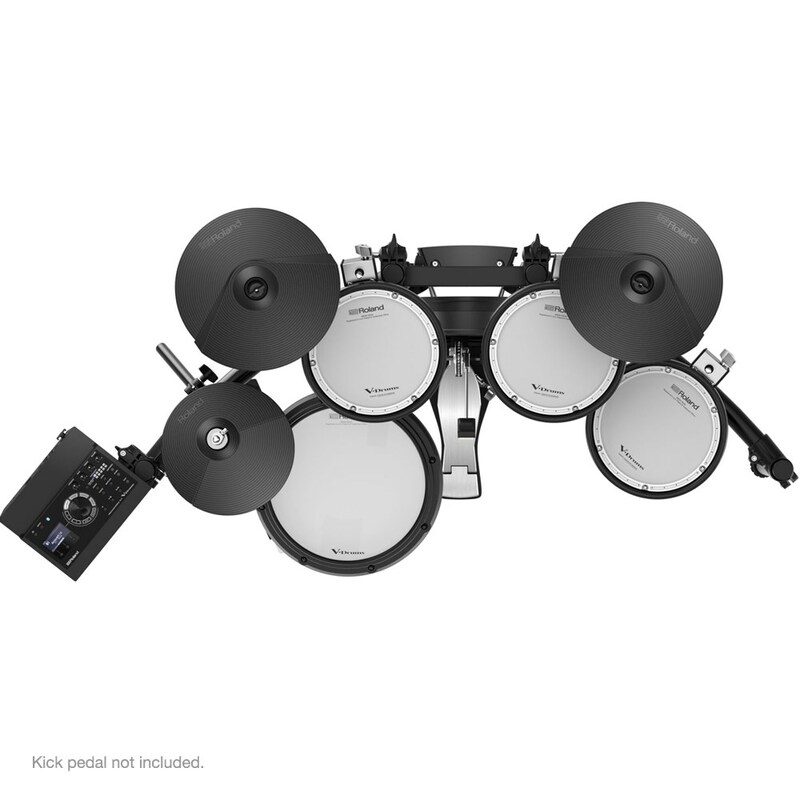 Roland V-Drums are built to be reliable – from the sound module, to the pads, right down to the pedals; each component must deliver, across every scenario and in every performance. The pads and pedals used in the TD-17 series are engineered to take a beating, but their playability also endures. And as your skills and ambitions grow, you can expand your TD-17 by adding an extra crash cymbal or second snare – safe in the knowledge that you’re using the same durable components favoured by pro drummers.